The Mysteries of Bottle-ends Revealed! 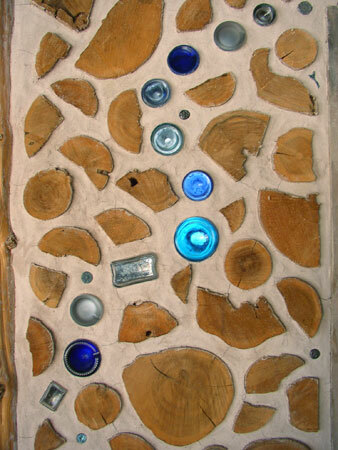 Bottle features are a striking addition to any cordwood wall. They add color and light and personality and are just all-around cool to look at. 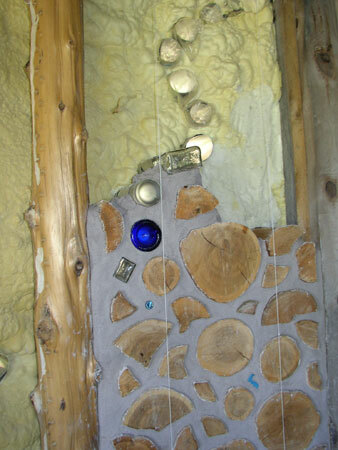 They consist of a clear glass bottle end on the outside of the wall and colored glass on the inside. 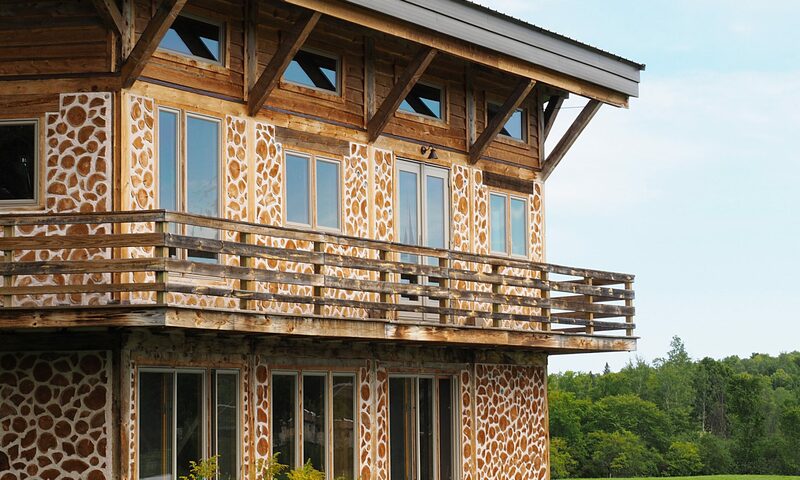 In our case, all the clear glass is currently embedded in the outer wall, with a sleeve made of aluminum flashing sticking towards the interior. We just have to add the colored bottle ends as we build up the inner walls. 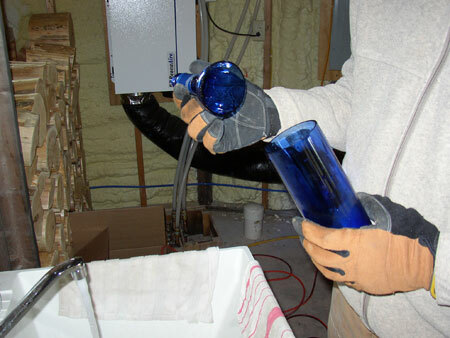 To do this, we had to find a way to cut the tops off of glass bottles that are too long. 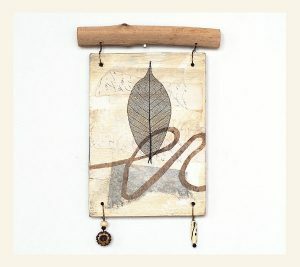 If you search the internet, you will find all sorts of ludicrous methods involving tile saws and candles and flaming string, but none of that is necessary (or practical). It’s really very simple, and thanks to this gentleman on youtube we found a very easy way to do the job. 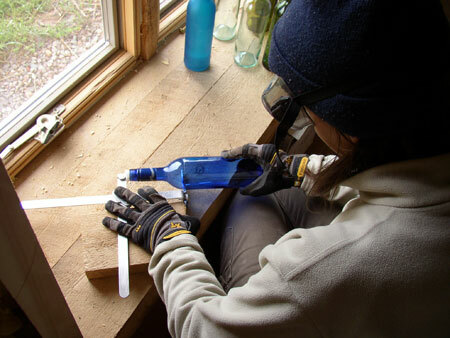 You get one of these nifty glass cutting gadgets, and lightly score a complete circle around the top of the bottle. 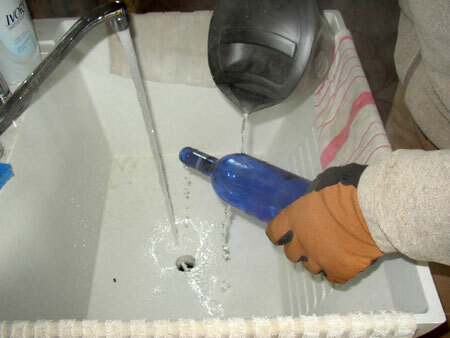 Then you pour boiling water on the score, being careful to work your way completely around the whole bottle. We bought a cheap electric kettle to use for this. Next, run cold water on the bottle. The glass is stressed and the top just pops right off. We had lots of lovely bottle ends in no time. After all that, I match them up with a clear bottle as we build. Here’s a wall in progress. 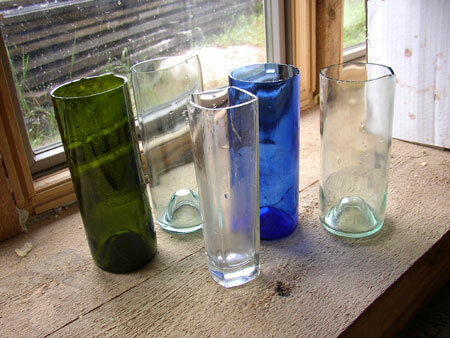 And here’s the completed bottle feature, with several different shapes and sizes and colors. the bottles look great. i was wondering when they would be used. do you need more? do you have any red bottles? Thanks! I’ve never run across a red bottle, but I have heard that they’re out there. Do you have one? i think we may. now that i’ve collected all 50 state quarters i need a new mission in life, consider the red bottle to be that mission.